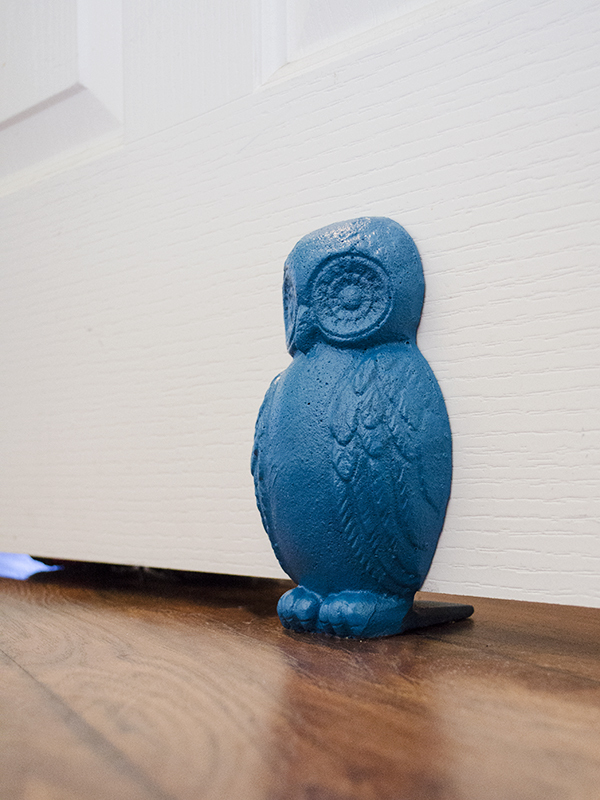 See That There: DIY :: My owl door stopper gets a coat of paint. 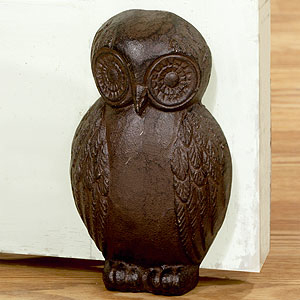 DIY :: My owl door stopper gets a coat of paint. I know this is nothing revolutionary, but spray painting stuff makes me really happy. My latest target was this owl that I had from Cost Plus. You can find it here. I never liked this brown, iron color and I'm always inclined to paint over it. I've had quite a few things in the house that are cast iron and one by one they are all being painted. So, here's my owl now! It only took one coat and it dried really fast; instant gratification! I'm really happy with the way it turned out. I love how something as simple as a coat of paint can give an object new life.